[Update: April 29, 2016, 6:48 pm ET]: This deal has sold out. 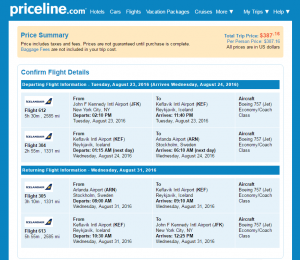 This route is now available for $426 roundtrip, including tax. Explore the capital of Sweden this summer and fall. 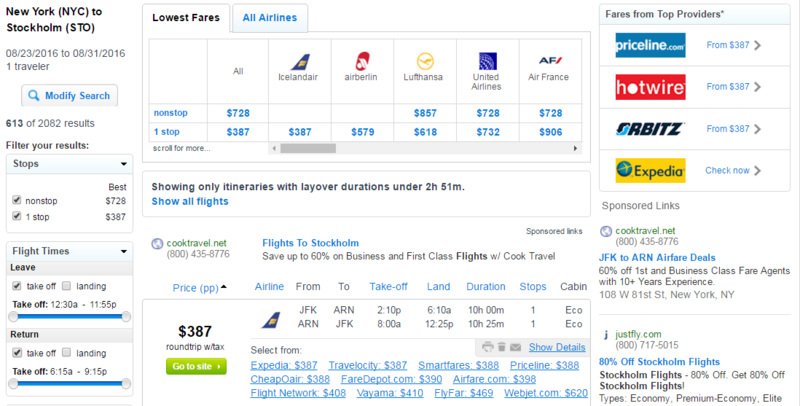 Flights to Stockholm from New York City have dropped by more than $300. 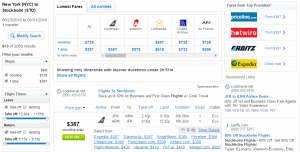 Fly Icelandair for $388 roundtrip, including tax, to score this deal. Bonus: Many dates include long layovers in Iceland. Travelers can use the extra time to visit popluar sites like the Blue Lagoon and the Golden Circle. 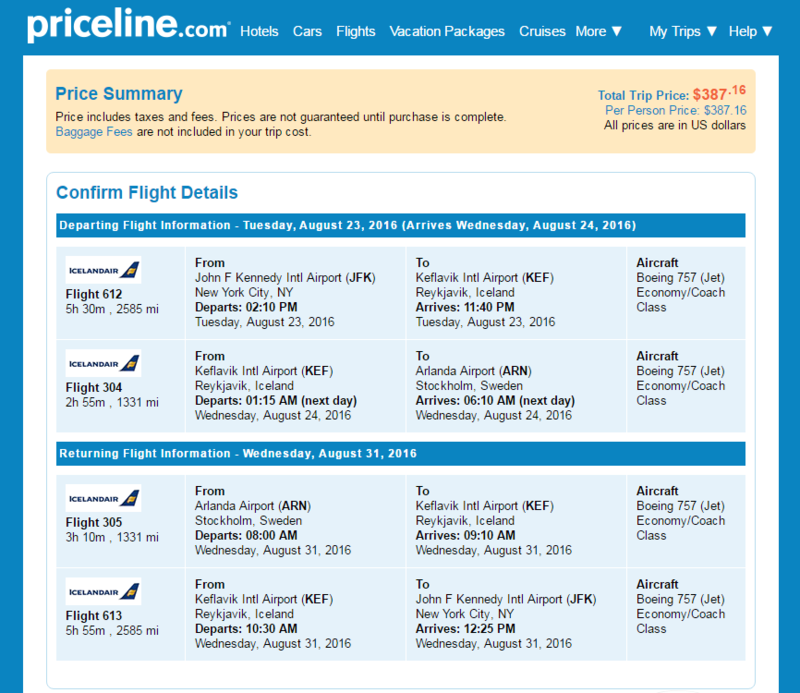 Note: Icelandair allows two complimentary checked bags when traveling to/from the USA. Check our baggage fee chart for more information. Over $300 compared with current rates.